With summer in full swing, this is the ideal time to take advantage of the breathtaking weather conditions and experience great al fresco dining. If you’re one who likes to host such events, or will be in attendance, here’s a list of six wine accessories that’ll help you seal the deal. 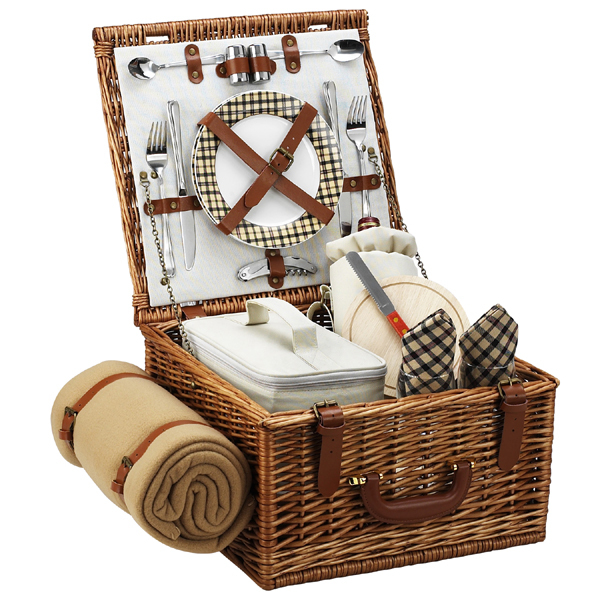 Cheshire Wine & Picnic Basket is a gorgeous accompaniment to any picnic and has everything you’ll need. The set includes ceramic plates, glass wine glasses, stainless flatware, cotton napkins, a food cooler, an insulated wine pouch, spill proof salt & pepper shakers, wood handle cheese knife, stainless waiters corkscrew, and—not to be forgotten—a fleece blanket. 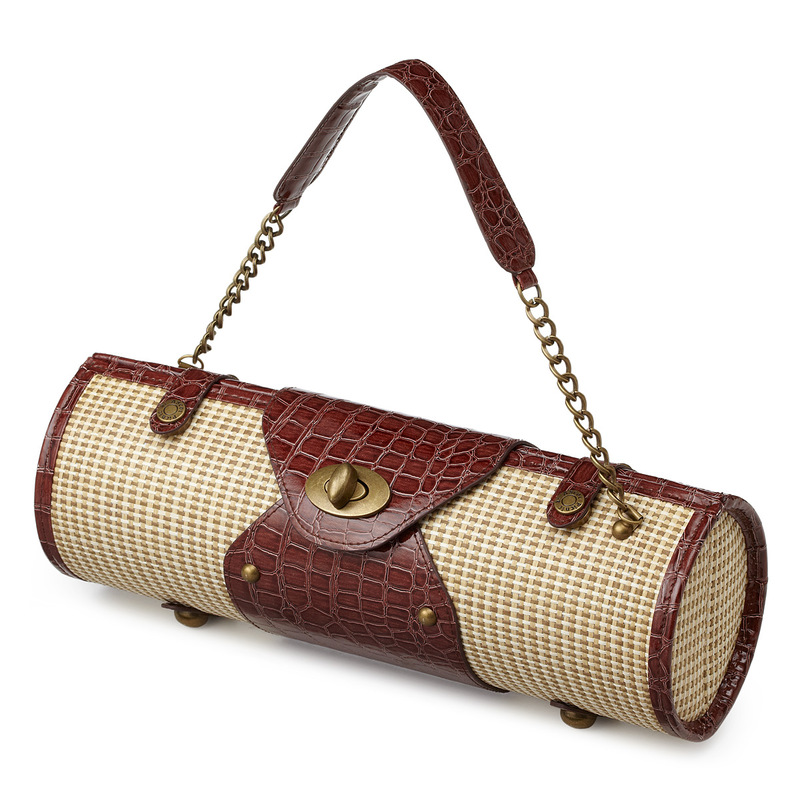 Bring your wine to the party in The Wine Purse—a hot item on the wine scene right now! They’re available in multiple colors and styles to go with any outfit. If it’s a trek to your picnic destination, you might want to bring along the Ravi instant wine chiller. This little gadget attaches to the mouth of the bottle and chills the wine as you poor. 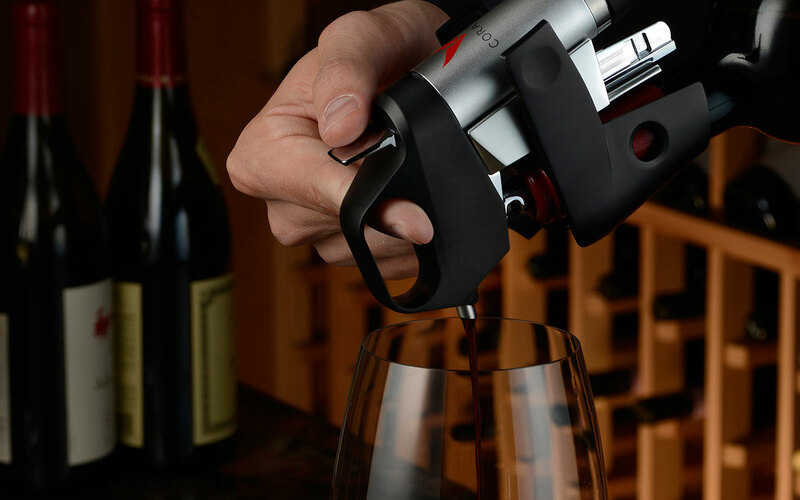 Pour without pulling the cork with the Coravin Wine Access System. 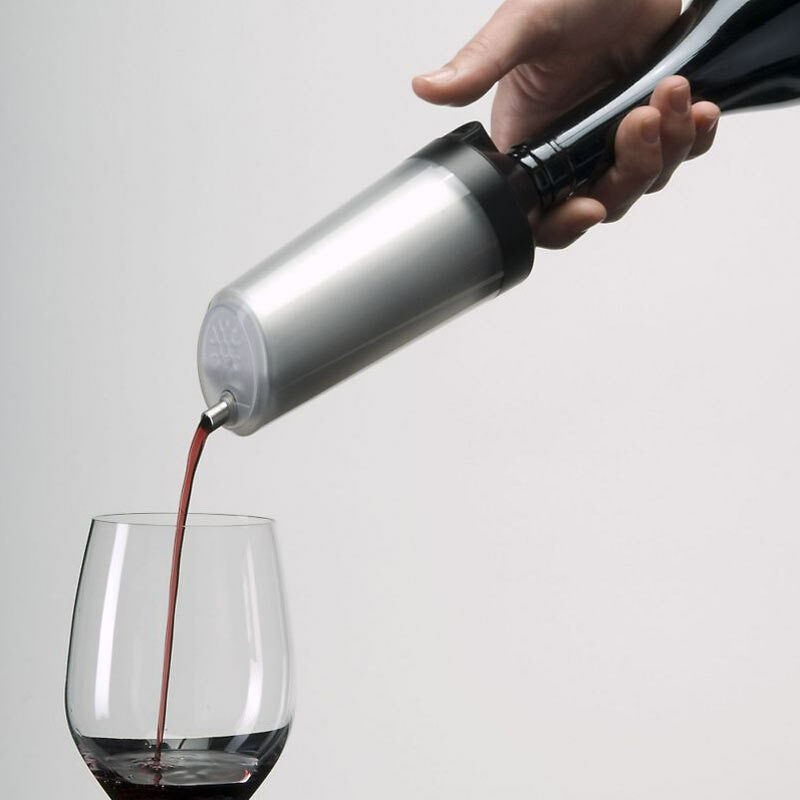 This handy device allows wine to flow out without oxygen getting in. When it’s removed from the bottle the cork expands back to its place, sealing the bottle. 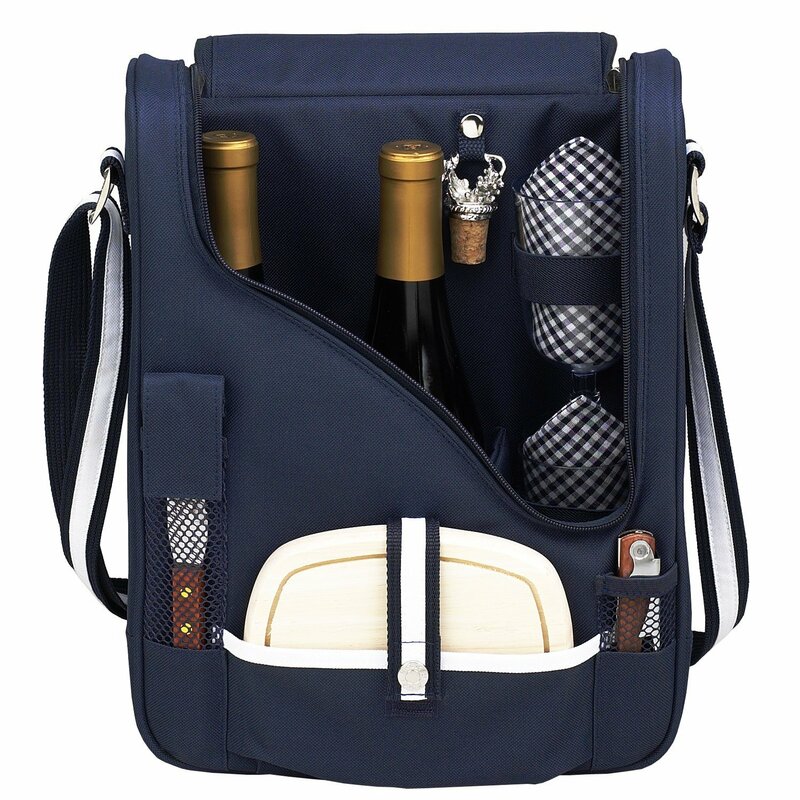 The London Lux Wine & Cheese Cooler includes 2 acrylic wine glasses, a corkscrew, bottle stopper, cheese board with knife, and coordinating napkins. The Fida Mat by Patrick Frey provides supportive seating anywhere. 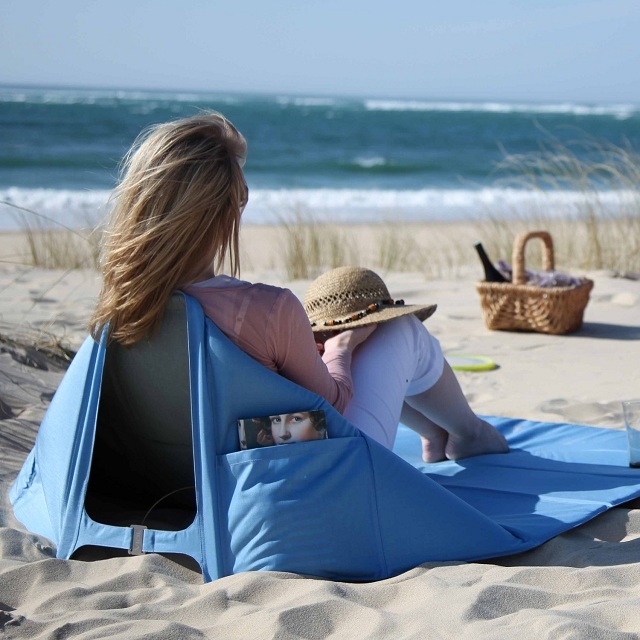 In just a few simple steps the unfurled folding mat is transformed into a fully functional, comfortable piece of seating.